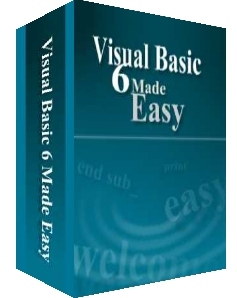 VISUAL BASIC 6 MADE EASY is an eBook written by our webmaster, Dr.Liew. It was used as a textbook by the University of Wesleyan. 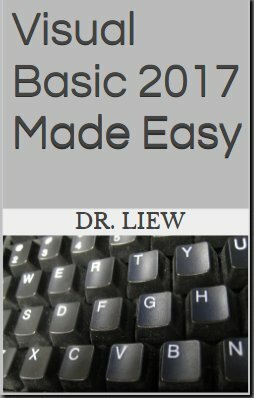 You can use this book as a textbook for your VB course or project. Get programming ideas from many interesting sample programs. The sample programs include star war, snakes and ladders game, reversi, home loan calculator, BMI calculator, library system, calculator and more. As a source of reference for your programming hobby. As a source of reference for your school or college projects. Please feel free to use the materials in my book for your assignments. As teaching material if you are a school teacher or college lecturer who teaches computer programming. Teach your kids how to program in VB6 if you are a parent. 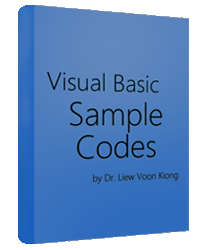 Order this book and you can Download the FREE Source Codes for the sample VB6 programs illustrated in this book. Click the Order button below to get your e-book and the free stuff.